Finally! I’m getting a chance to share with you some of the SURPRISE gifts that I created for customers for the holidays. Since these custom oil paintings were surprises, I couldn’t let you in on the excitement of their creation, but now I can. The first surprise was a gift “for the boss who has everything”. But the gift-giver knew that her boss loved his dog, so she decided to surprise him with a custom oil painting. 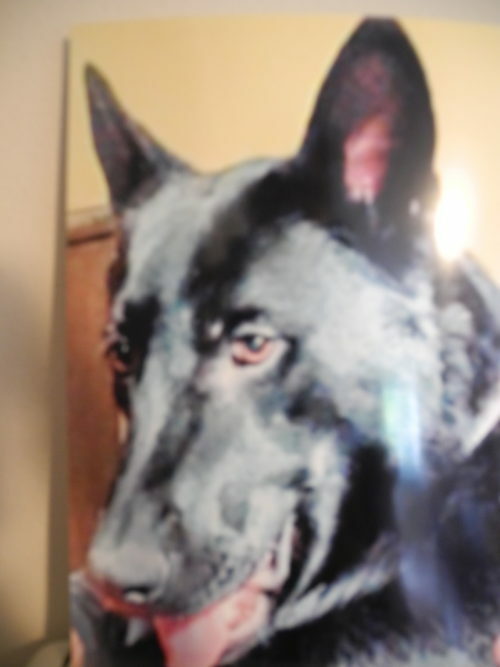 The dog is a handsome black German Shepherd named Carlos, as you can see. Apparently it was a hit! The boss said that it was “the best gift he had ever been given”. Sounds like a happy ending for both the gift-giver and the boss! This is the photo of Carlos that I used to create the oil painting of the handsome Carlos! The picture made it easy to capture his personality. 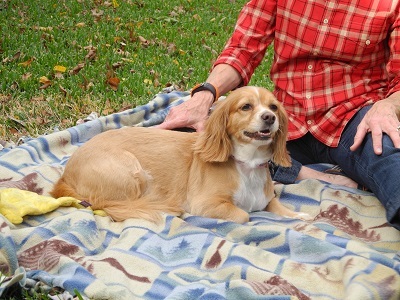 Annie holds a very special place in the heart of her family. She is a lovely poodle who was a rescue. Annie’s mom wanted a portrait of Annie for her son and daughter-in-law. 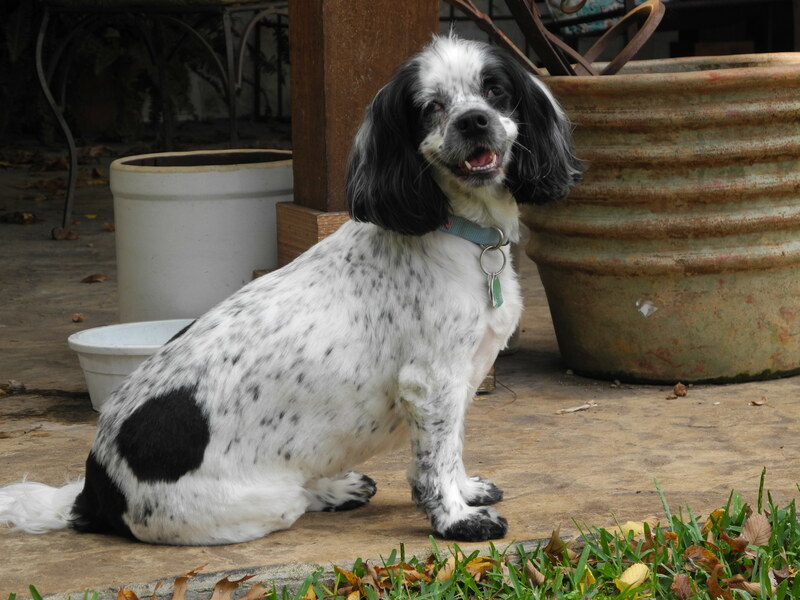 It was going to be an extremely tough Christmas for the family as they had lost their husband and father earlier in the year and the portrait of their fur family member – Annie – was to be a very special gift. When her son and daughter-in-law opened the painting, she said they were speechless. The daughter-in-law said it was the best Christmas present ever and the son took smartphone photos of the painting to send to friends. Annie’s mom said that the painting definitely made Christmas easier this year. She told me that, at that moment, Annie was lying on the sofa next to the painting and I had captured her perfectly. Another example of some of the challenges of creating custom oil paintings from photos. 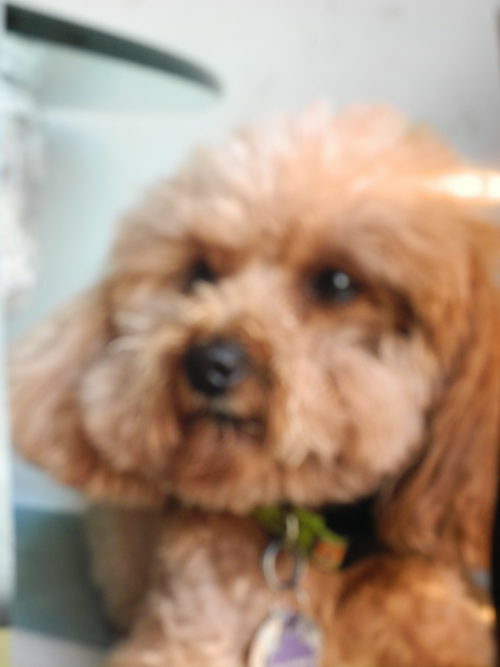 This is the photo of Annie that I used to create her painting. The last surprise gift painting I had the pleasure of creating this Christmas was a portrait of Rudy and Gloria. 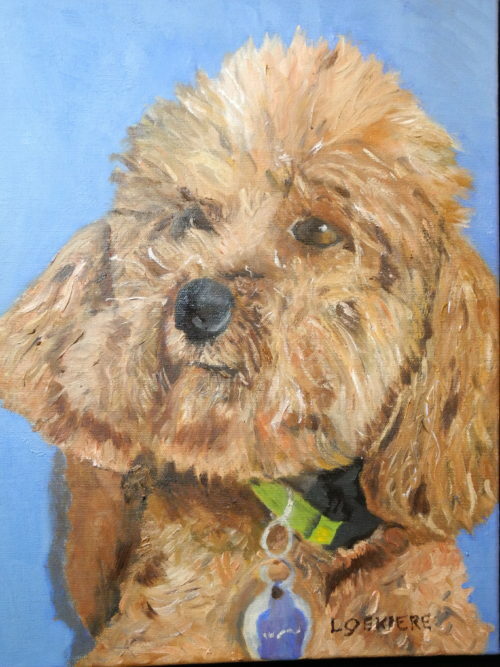 Originally, this was to be a portrait of Gloria, the smaller dog, as a surprise for the customer’s husband. 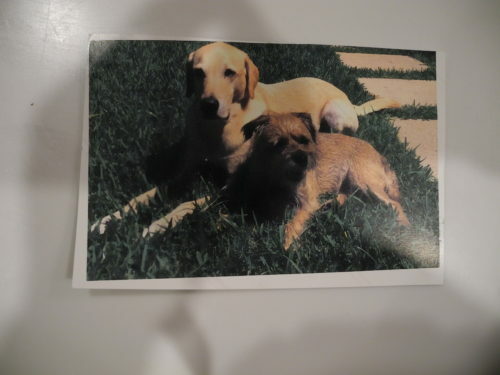 However, Rudy and Gloria’s mom decided she wanted a larger painting to include both dogs. As it turns out, her decision was a blessing. Just after New Years, Rudy, the Lab, crossed the rainbow bridge. The finished painting, according to the customer, is a great comfort to both of them. Often, people realize as their beloved fur family member’s age, they want to capture that special relationship in a custom painting, sometimes using photos from their pet’s younger years. As you can see, portraits of beloved pets or loved ones can make wonderful gifts, no matter the occasion. As a reminder, Valentine’s Day is coming! If you would like your own custom painting – as a gift of for yourself – just complete this form. If you have any questions, just contact me via email or call me at (214) 405-1834. And a big THANK YOU for reading my blog! A gift certificate from Larry Gekiere – Artist for a one-of-a-kind oil painting makes a thoughtful and unique present for anyone on your list! Someone in your life would certainly treasure a portrait of a beloved pet or a painting of a very special person. You might even have the exact subject in mind for their painting. Imagine the look on your friend or loved one’s face when they unwrap such a unique and very personal gift. It shows your understanding of what such a painting would mean to them. So this holiday season, just click here for the “Order A Painting” form on my website. Simply fill out as much as you can on the form, including the desired painting size, and check off “Gift Certificate” under “Do you need an extra service?” Please include the name of the recipient in the “Your Message” section. Don’t worry about leaving some sections blank. 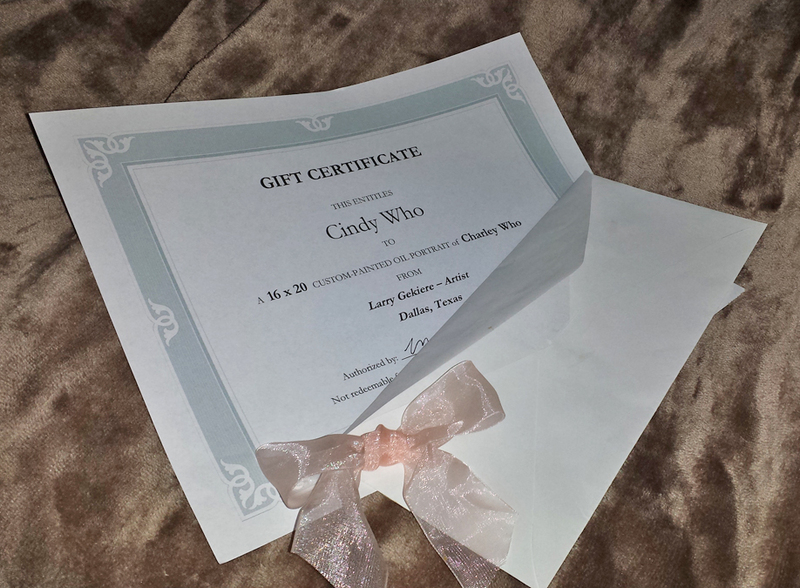 Or, if you prefer, simply call me at (214) 405-1834 to work out the details for your gift certificate. Custom oil paintings are the kind of gifts that keep right on giving. When your friend or loved one hangs the painting on their wall, they will constantly be reminded of their feelings about the subject and your thoughtfulness. A gift certificate from Larry Gekiere – Artist is the gift that keeps on giving. Every year, I enjoy painting more and more. The reason? There are always new challenges and overcoming them can feel like a real accomplishment. 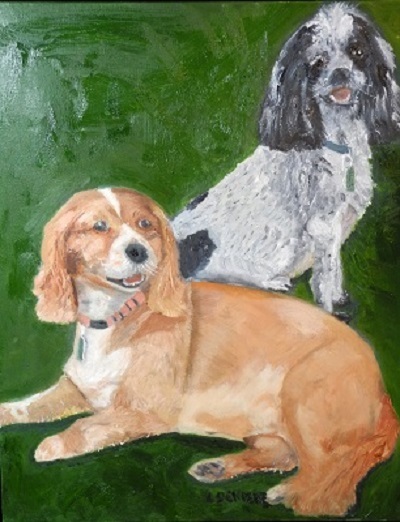 An example is this painting of Dolly and Bella. Just like about 50% of my work last year, the portrait of these two lovely dogs was to be given as a gift. Gifts can be challenges no matter what, first in getting the best photo without the recipient finding out and then in the timing. This particular portrait was a gift for my client’s adult daughter. With some planning, I was able to organize a rendezvous to take the photos, and that’s when the fun began. 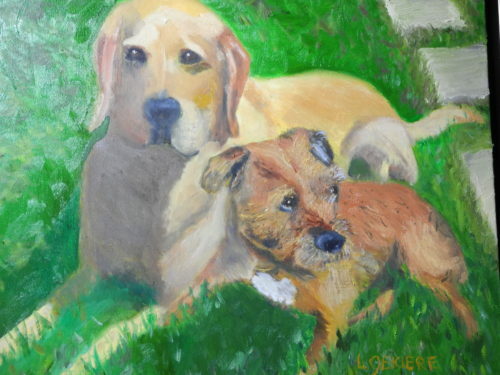 Originally, I thought the painting was only of one dog, but as it turns out, I was asked to paint two dogs. This is not unusual or challenging of itself, as you know from some of my other paintings, but this particular situation was a bit unique. One of the dogs, Bella, was a rescue, and, as it turned out, was afraid of some men. It is difficult to get a good photo of a frightened dog. The other dog, Dolly, who wasn’t feeling well that day, oddly enough was the one who would not stop moving! I did get a shot of both, but it included the client and was too far away. 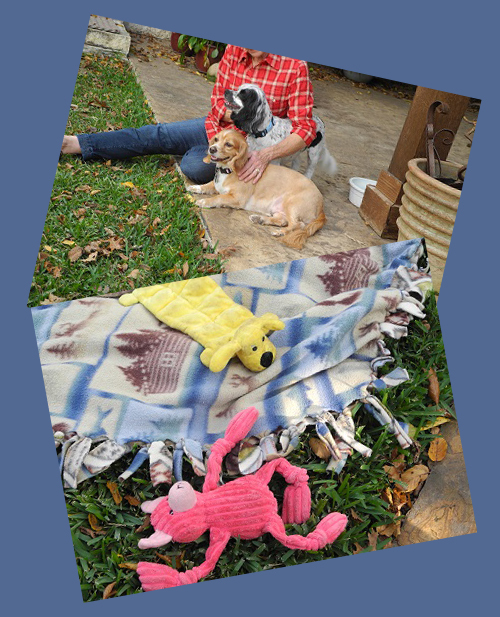 I also tried putting their favorite toys on a blanket to grab a photo of them together, but that didn’t work. After crawling around on the ground and sneaking about (check out my blog post on how to get good photos of your pet), I managed to get over 100 photos and, finally, two separate pictures of the dogs that might work. Then I had to get them to the correct size and then meld them together in the position the client wanted. My client had a couple of poses that she thought would typify her daughter’s pets. In addition, she had specific marking on the dogs that she wanted to be shown in the painting. After some drawings and sketches (see one of my posts on the process), she agreed to the planned portrait. I painted the portrait and delivered it to the client, but I could immediately tell that she was not as excited as my clients normally are when they see the portraits. I asked what was wrong. After some persuading, she admitted that she thought that one of the dogs would be sitting. When I mentioned the drawing that she had approved, she said she was so focused on the positioning of their heads, that she didn’t pay attention to the body positions. We both laughed and I said that I would redo. The most important challenge? Making sure portraits like this are something you love not just something you think is ok. I redid the painting with the positional change and delivered it once more. This time my client was happy, but I told her that if her daughter was not thrilled with the gift, I would redo the portrait until she was. My deepest gratitude to all of the clients who have trusted me with their treasured memories. I look forward to this next year of “challenges”. Looking for the perfect gift for a pet lover in your life? 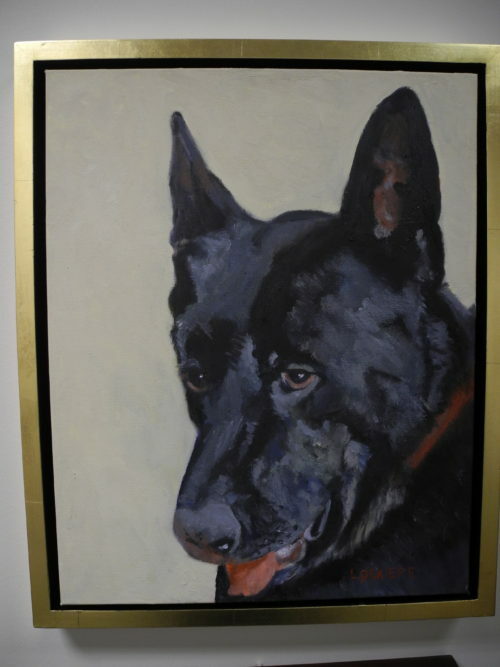 A hand-painted oil portrait of their pet would make a thoughtful and unique present for someone on your list. Imagine the look on your friend or loved one’s face when you present them with such a thoughtful gift. It shows that you really understand how much they love their fur family member and it can be especially thoughtful for the parent of an older pet. Just click here to order a painting. 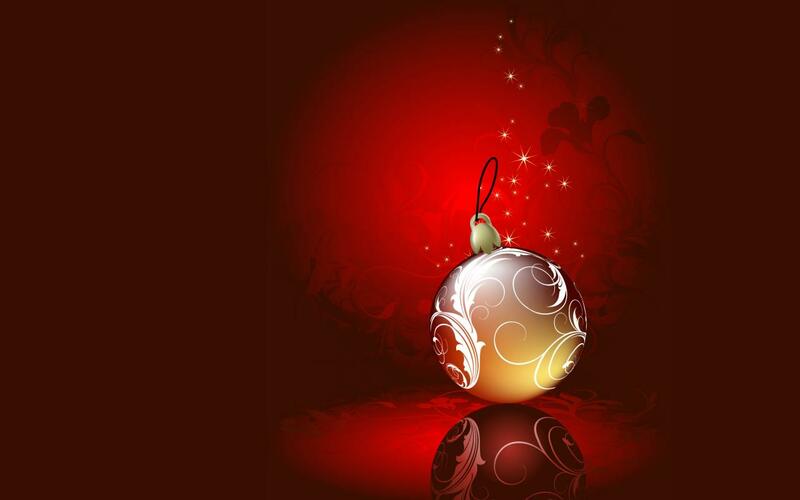 If you are doing last minute shopping, I also offer gift certificates. Once you submit your order, I will let you know the possible timeframes for completing your gift. Pet portraits are heartfelt gifts that will keep right on giving. When your friend or loved one hangs that portrait on their wall, they will constantly be reminded of their beloved pet and your thoughtfulness. 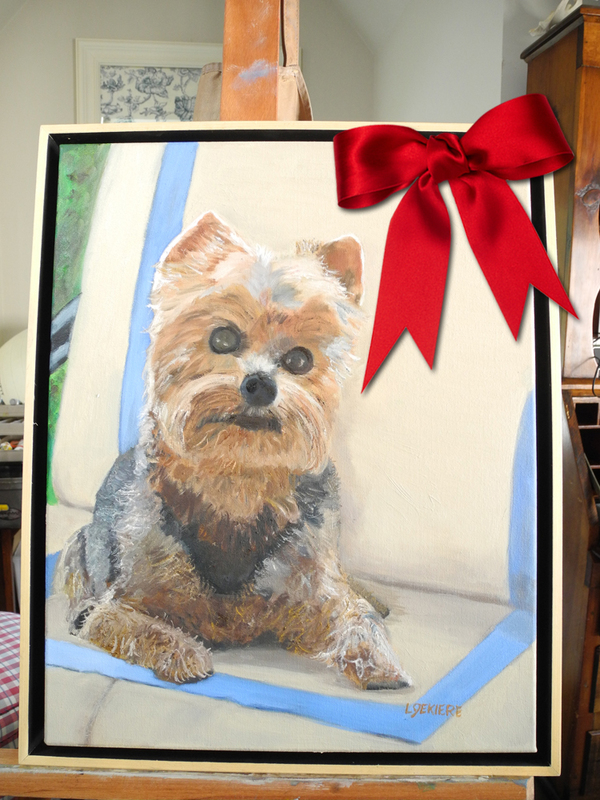 For a great perspective on the steps involved in creating a gift portrait (and in this case, presenting a gift certificate for an original Larry Gekiere Pet Portrait), take a look at my post about creating a painting of PJ, beloved sidekick.